So, I managed to kill off Madame Gres before she killed me. 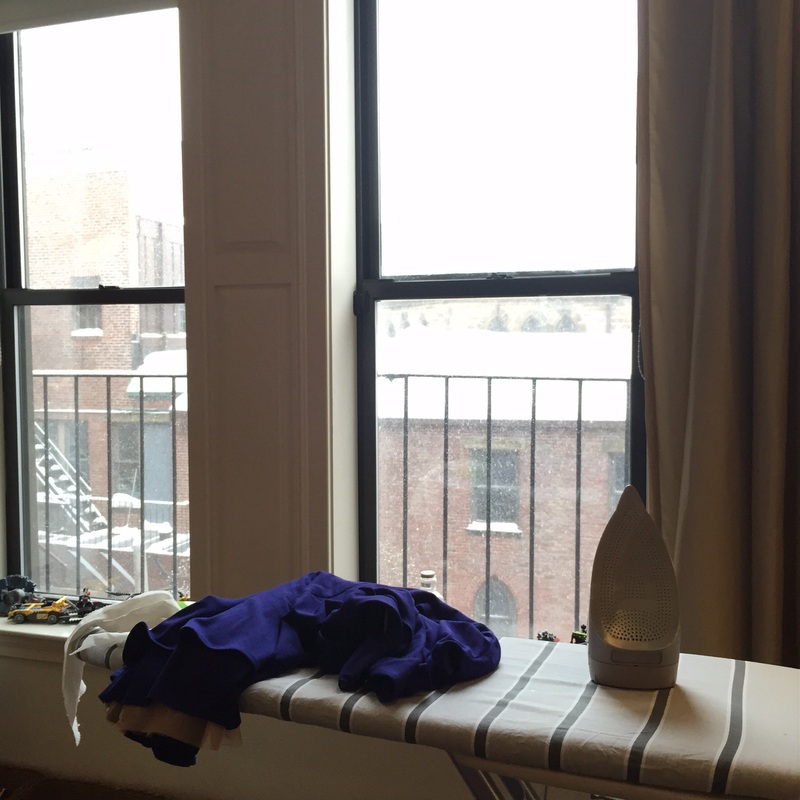 It was a war of slidey jersey knits, sticky power mesh, and numerous sharp objects, punctuated by meals on demand for my snowbound and crabby men. The only one I’m still speaking to is Karl! 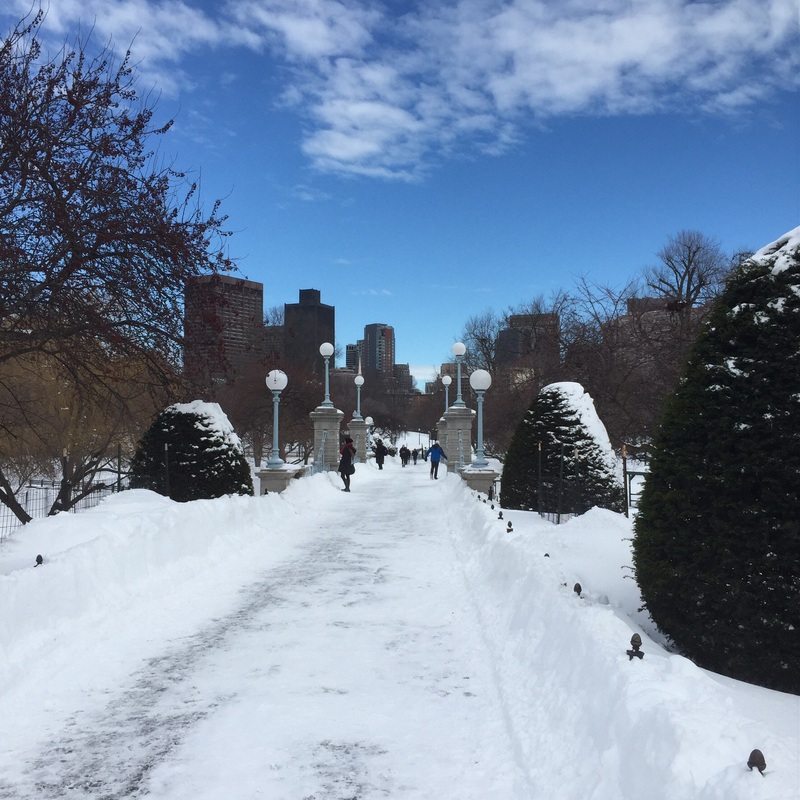 There were merely two feet (less than a meter) of snow on the ground in Boston. You can read about making the muslin by clicking here, and the early stages of construction by clicking here. 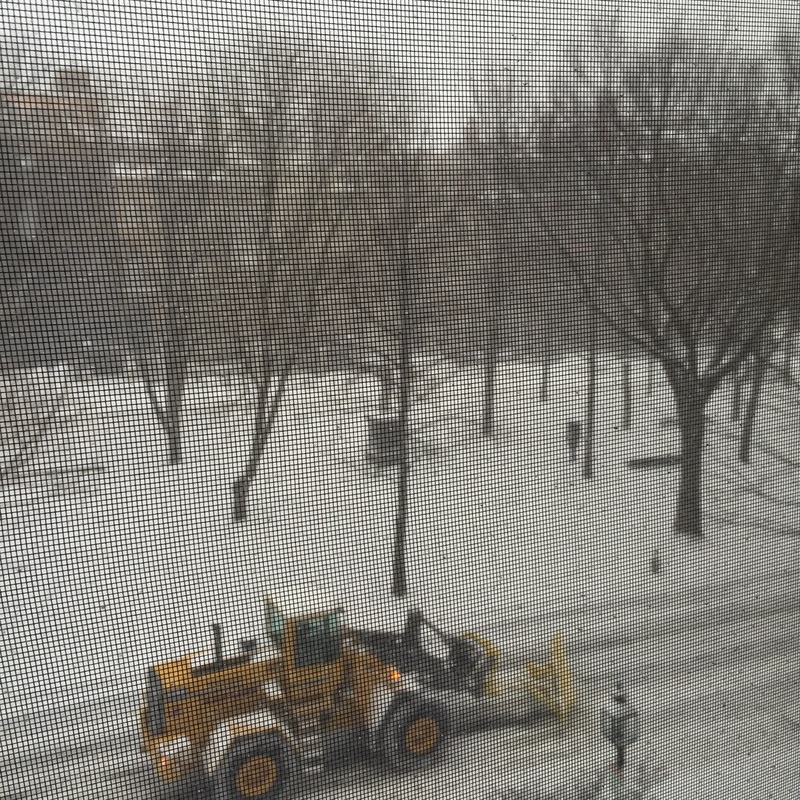 Then, storm #2 hit, with two more days off from school. 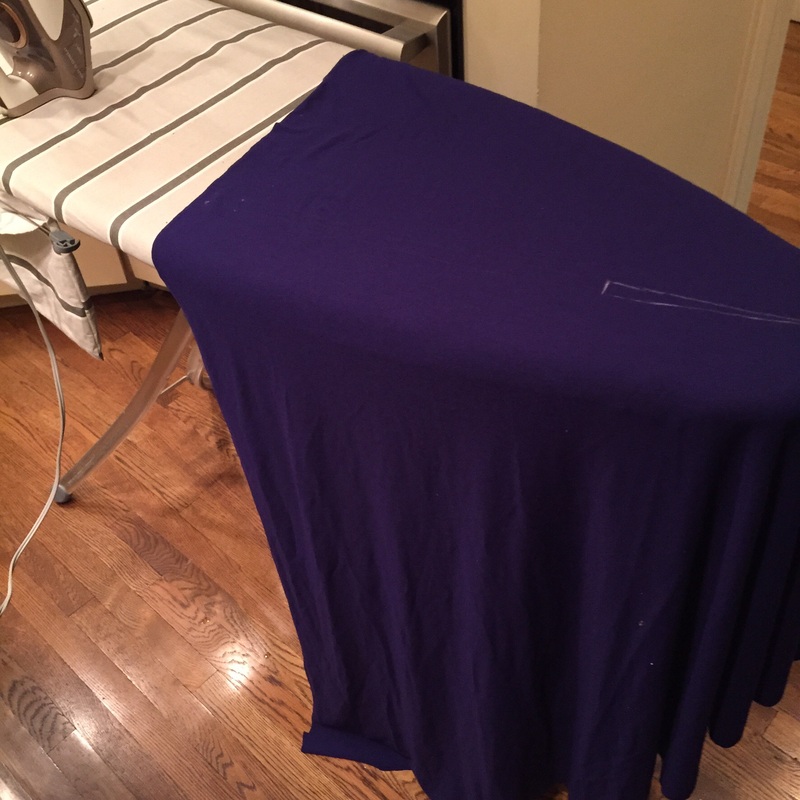 My husband was in one room working, and my son was in his room doing homework, which stranded me in my tiny kitchen, laboring to create the large half-circle drape that attaches to the underdress. The diameter of the drape is at least six feet (two meters). 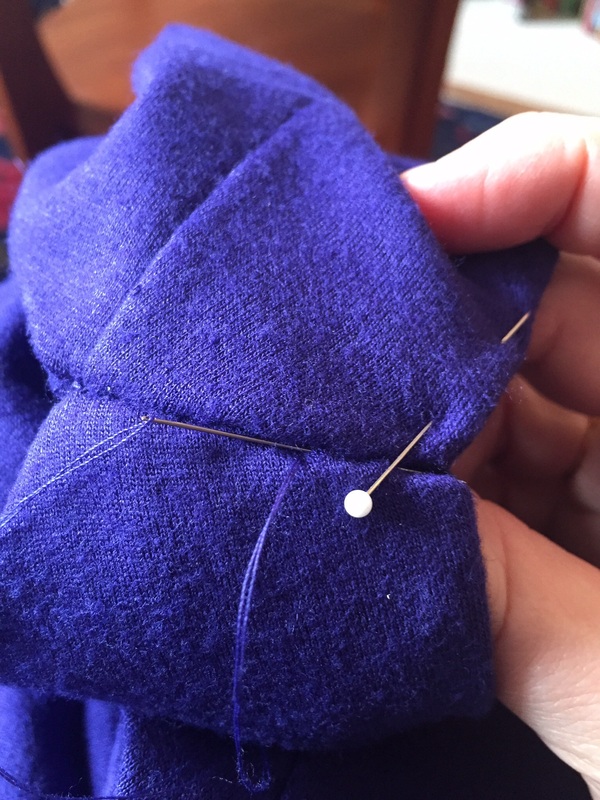 The first thing was to make and stabilize a slash on the straight edge of the drape, which would attach to the shoulder and then go under the arm. 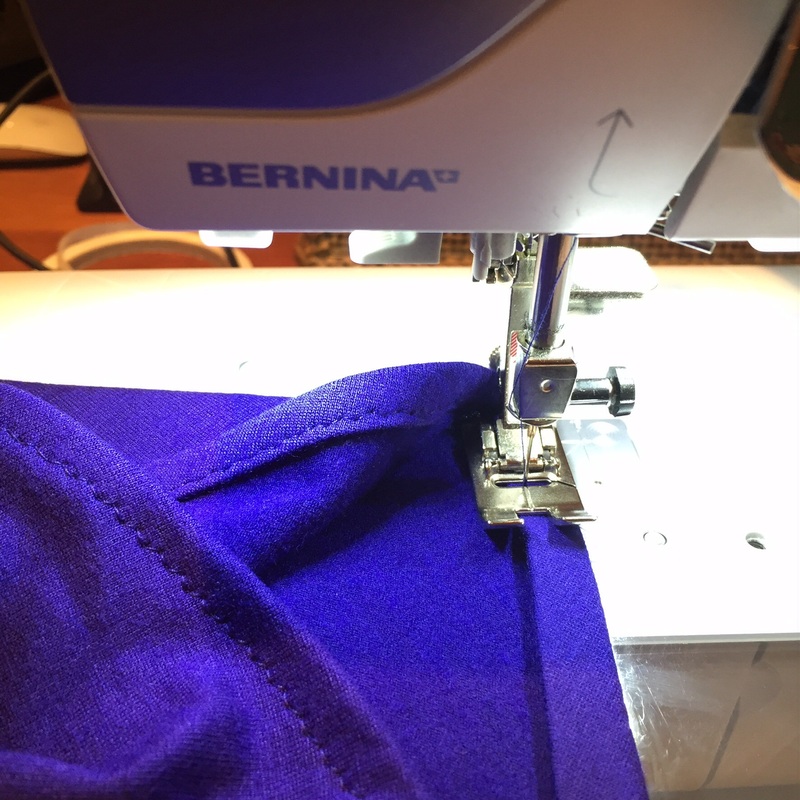 Since I was using lightweight, stretchy wool jersey, rather than hand-roll the edge hem as called for in the instructions (which would have led to hari kari), yeah, I got out the old Steam-a-Seam 2 Lite! I’m not ashamed! 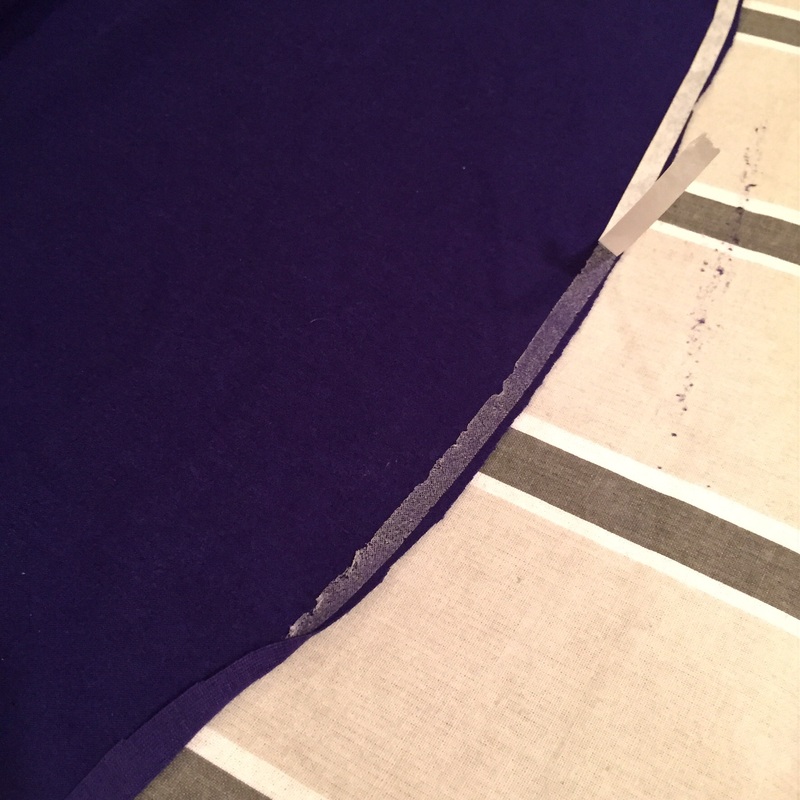 For the uninitiated, Steam-a-Seam is a kind of mesh fabric glue with paper backing. I glued that sucker down and edgestitched it, and decided I could live with it. Many of us had a long, depressing hiatus from Steam-a-Seam last year when apparently there were production problems with the product. I myself became a hoarder and even bragged about it on InstaGram, which made things worse because people started begging for it. (I refused to share.) But now you can find it again on Amazon, hallelujah! 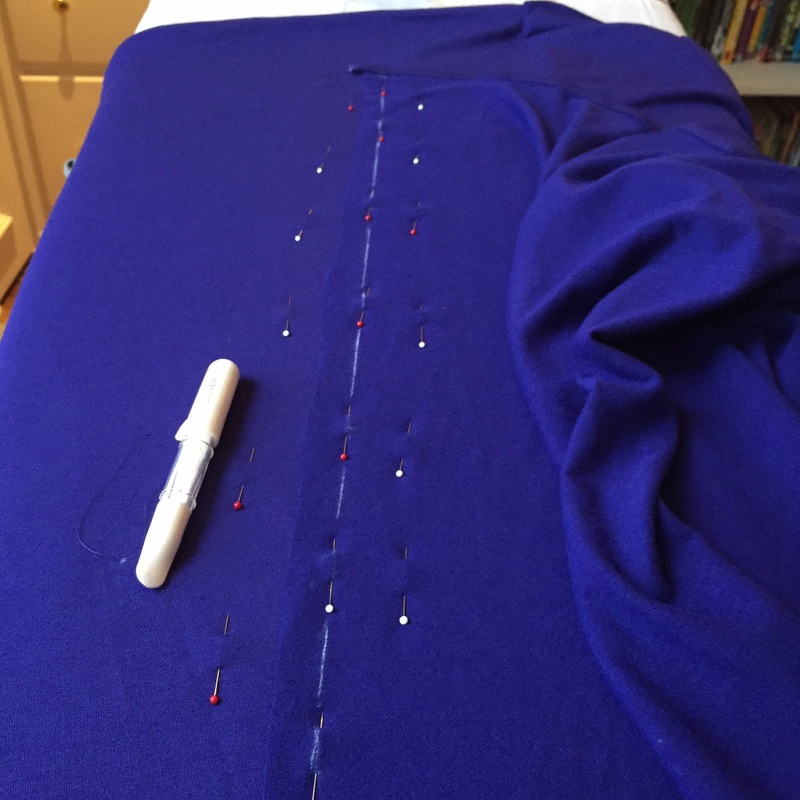 I learned about Steam-a-Seam from the Craftsy.com course Sewing on the Bias with Sandra Betzina. She recommends laying down the paper strip and tapping it quickly with an iron to get the glue mesh to separate from the paper, which really helps. 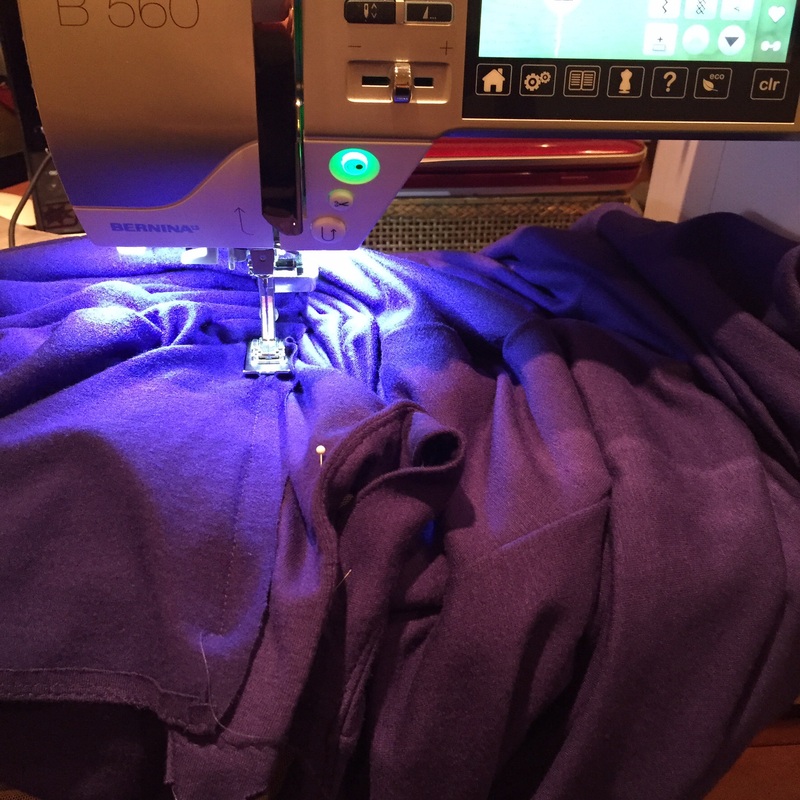 From there, it was easy to flip up the hem again and sew it without pressing or pinning. It avoided the wonky wrinkles you can get on a circular hem like this. The great thing about using wool jersey is that even if the edges get a little lettuce-y after they’re sewn, the wool shrinks back with a light steam press, so it’s flat but stretchy. 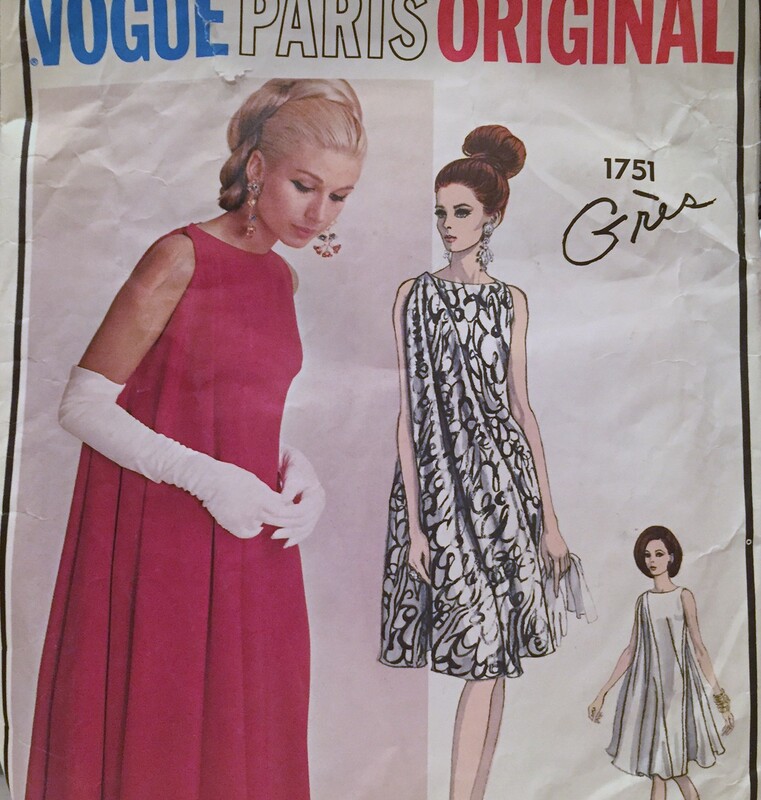 I know I never got around to profiling Madame Gres and her innovations with jersey (because I was so pissed at her) but you can read all about it here. 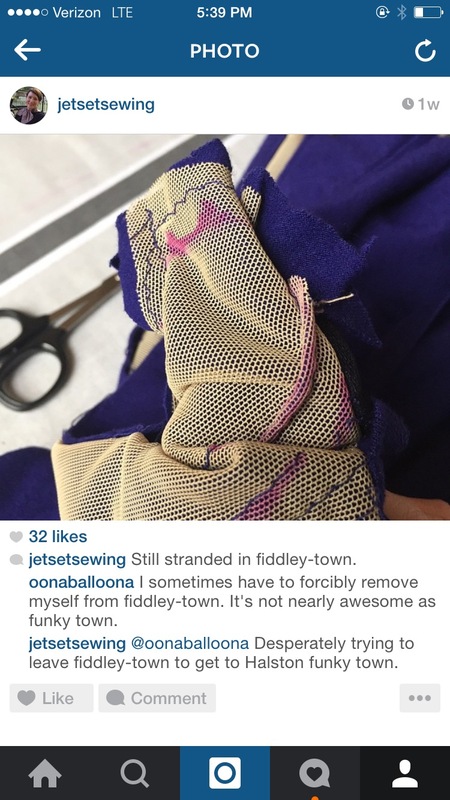 She hated to cut her fabric. Girl after my own heart! 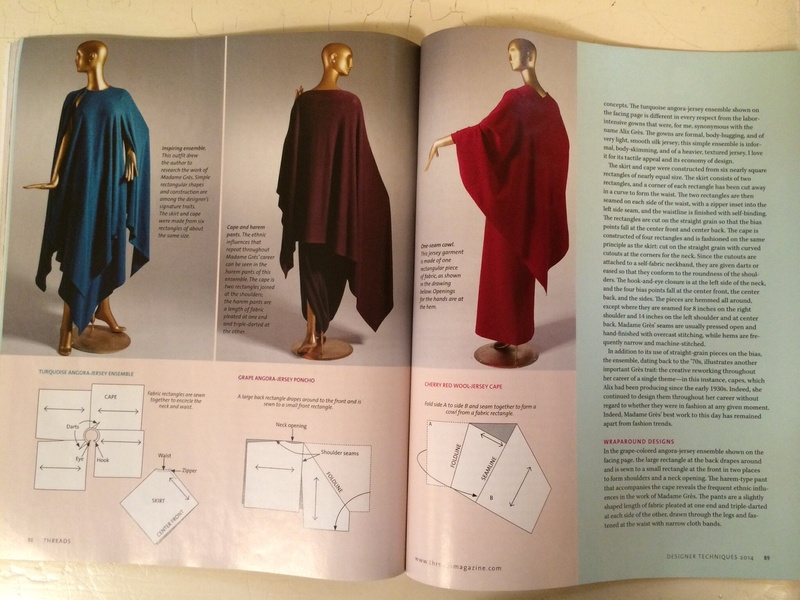 Another great article about Madame Gres, by Arlene Cooper, is in this special issue of Threads Magazine, released this summer. 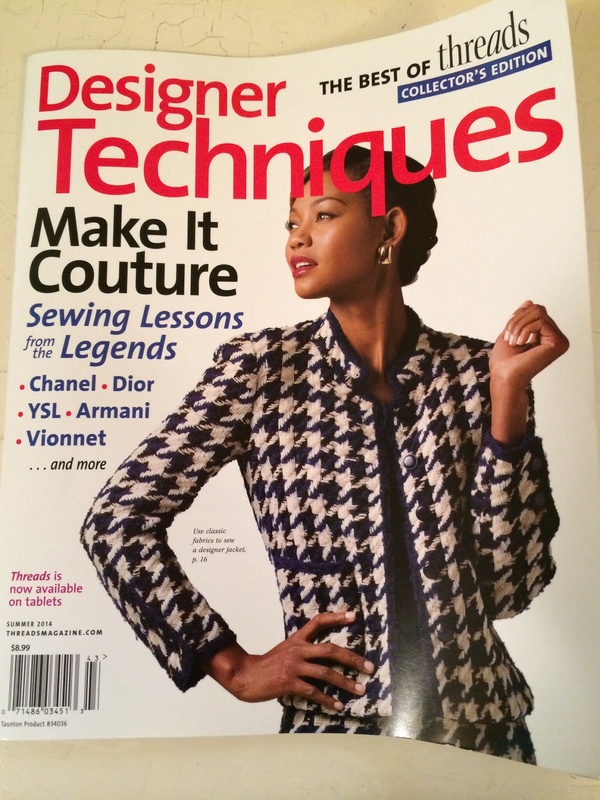 I wrote about it here: (“$9 Couture Course”). Here’s a quote from the article, which I wish I’d read more thoroughly before I started: “Her work is known for its prodigious use of luxury fabrics in a personal method that is time- and labor-intensive and virtually impossible to copy.” Hoo boy. It was time to attach that giant drape. 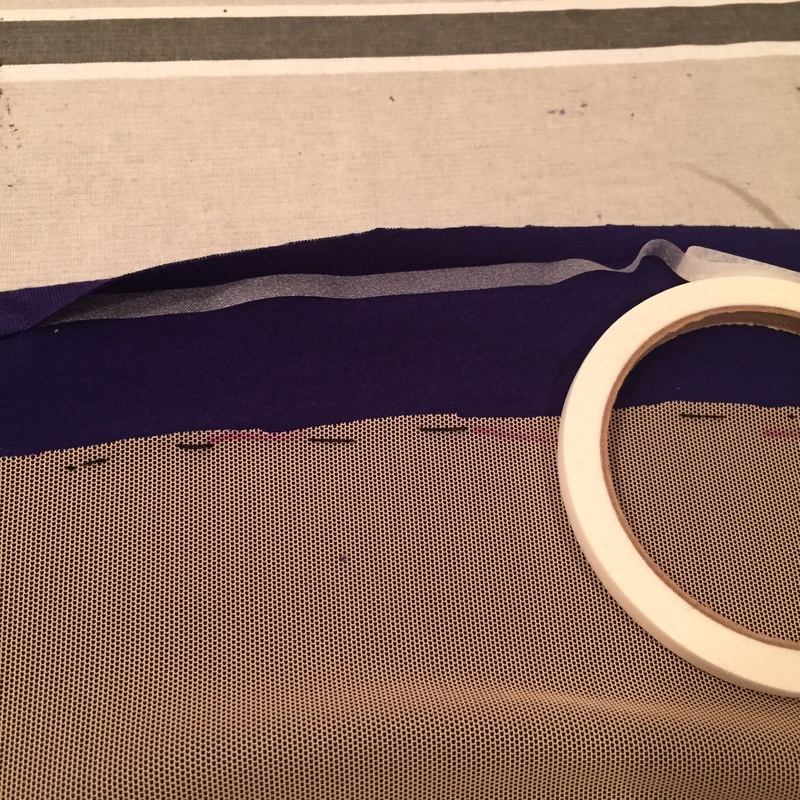 On the underdress, I had hand-basted the jersey to the power mesh underlining, and now I decided to machine-baste it with a narrow zigzag to stabilize it (that’s a big diagonal going down the front and back of the dress). 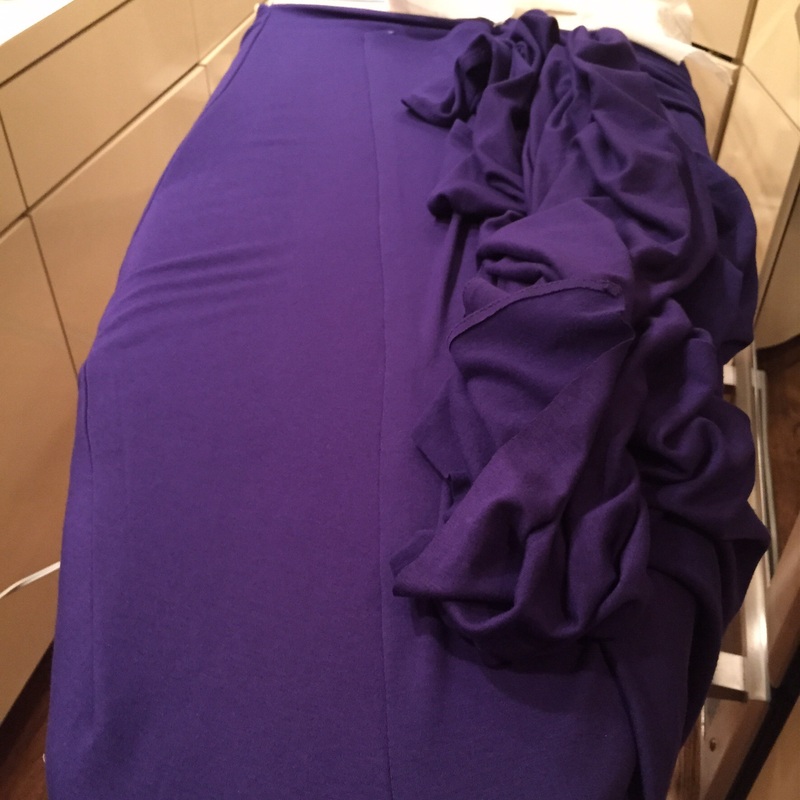 Then I pinned the drape on the dress. 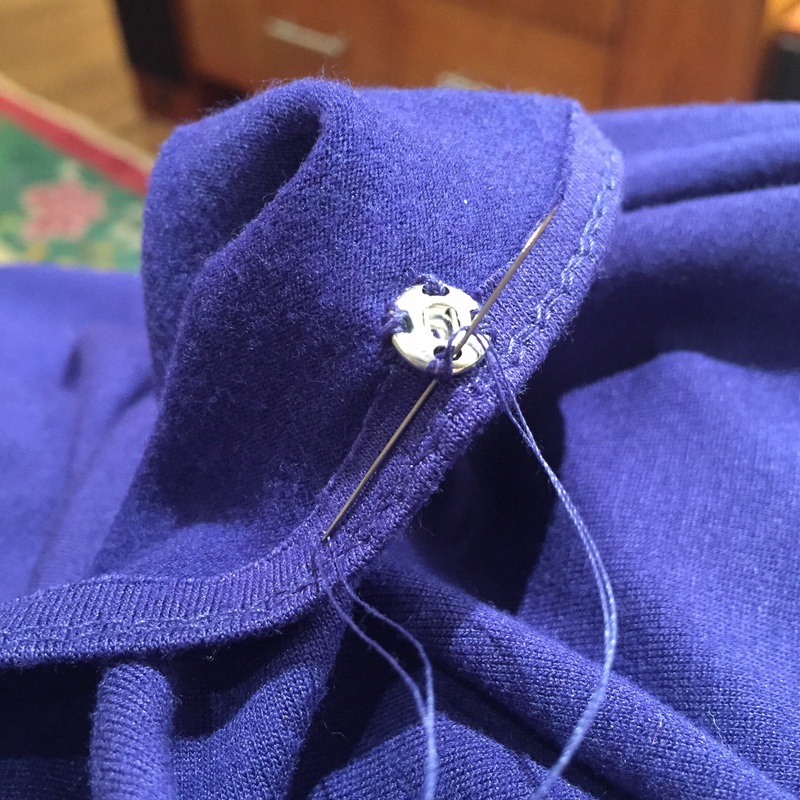 Since I had elected not to put in a zipper, I knew it was going to be dicey sewing the thing on smoothly all the way down the length of the dress. 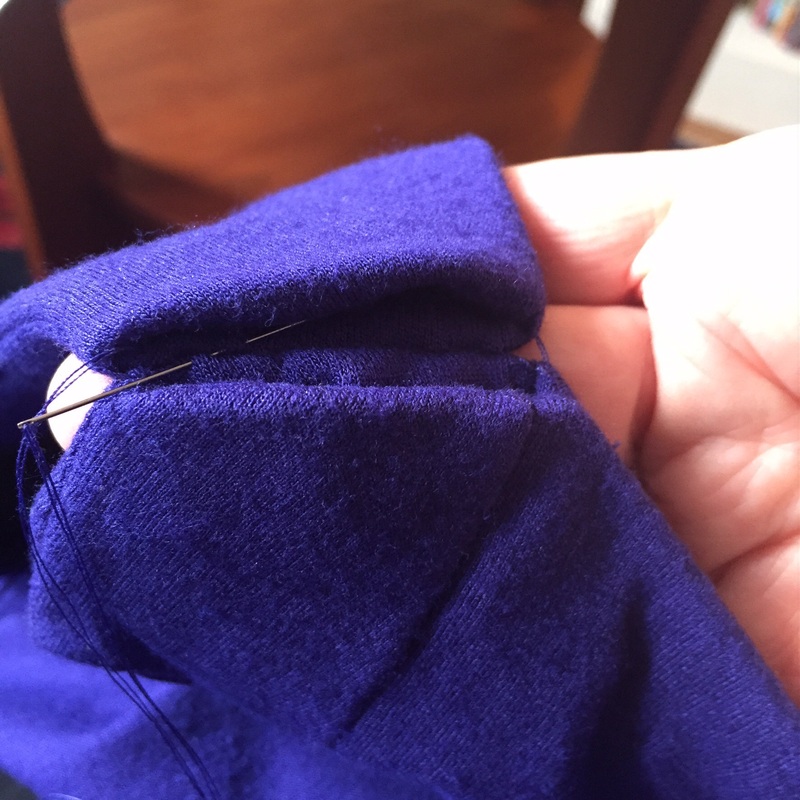 I left the shoulder seams detached and headed in from the top and bottom. Ta da! I love how the angle of the drape is exactly parallel to the angle of the French dart on the left. Now we were up to four feet of snow! 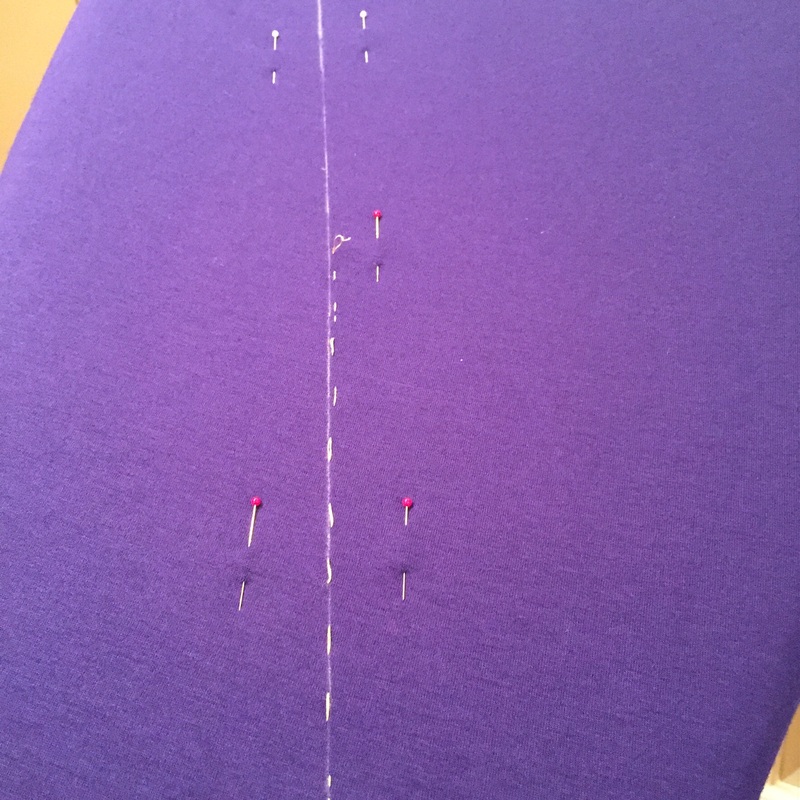 I used a kind of running stitch/fell stitch hybrid to try to mimic machine stitches, and went over it a couple of times to avoid wardrobe malfunctions. Sigh. I forgive you, George. 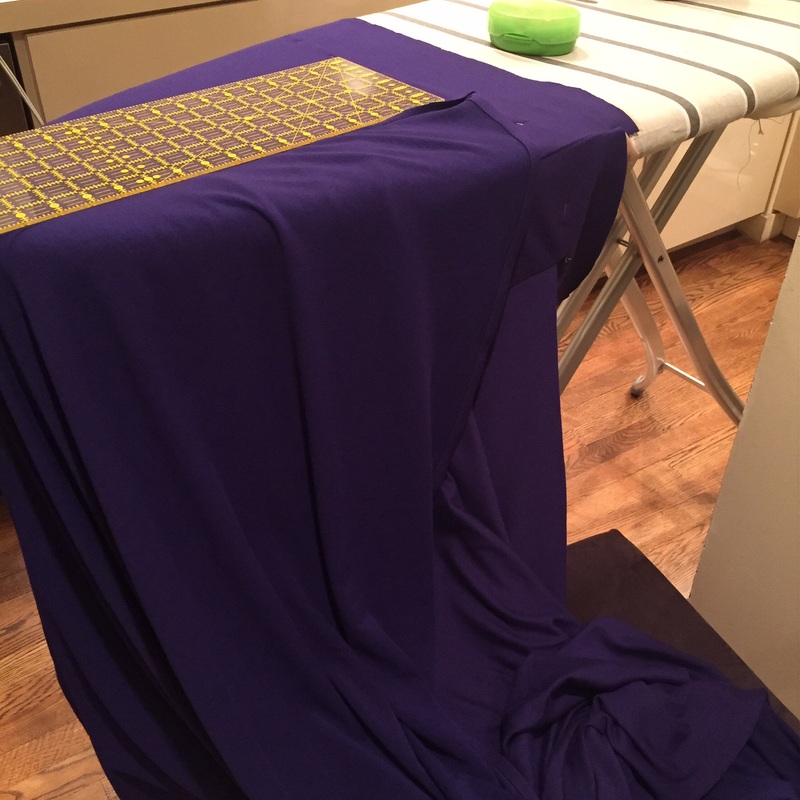 When it came time to do the hem, the dress was so big I had to put the drape on a chair. 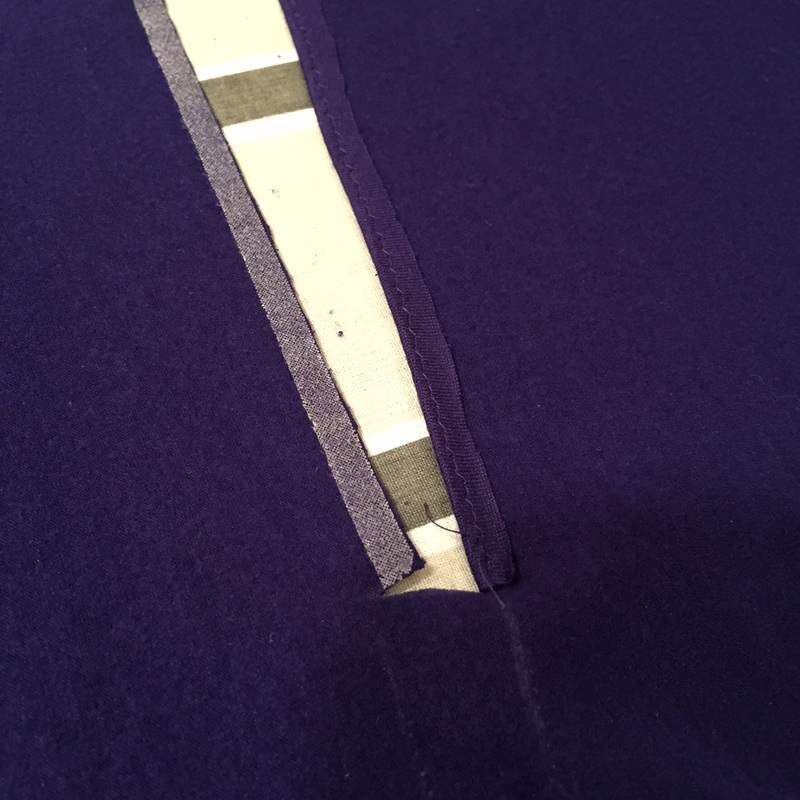 I hand-basted the jersey to the power mesh at the hemline, trimmed the power mesh, glued up the raw edge of the hem, then turned it up and hand-sewed the hem. Are we there yet? 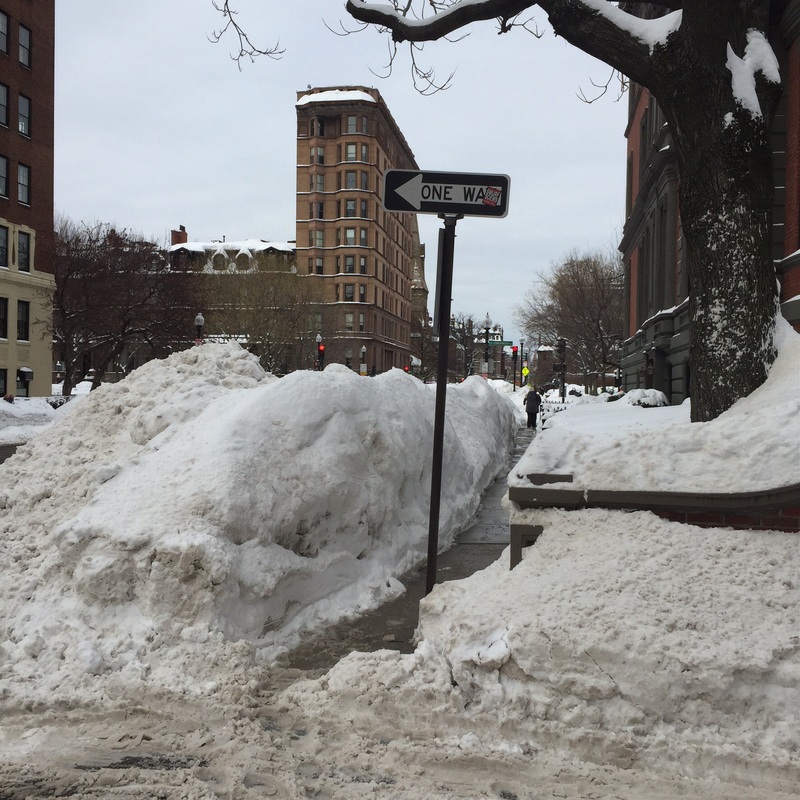 By then, we were beyond six feet (two meters) of snow! 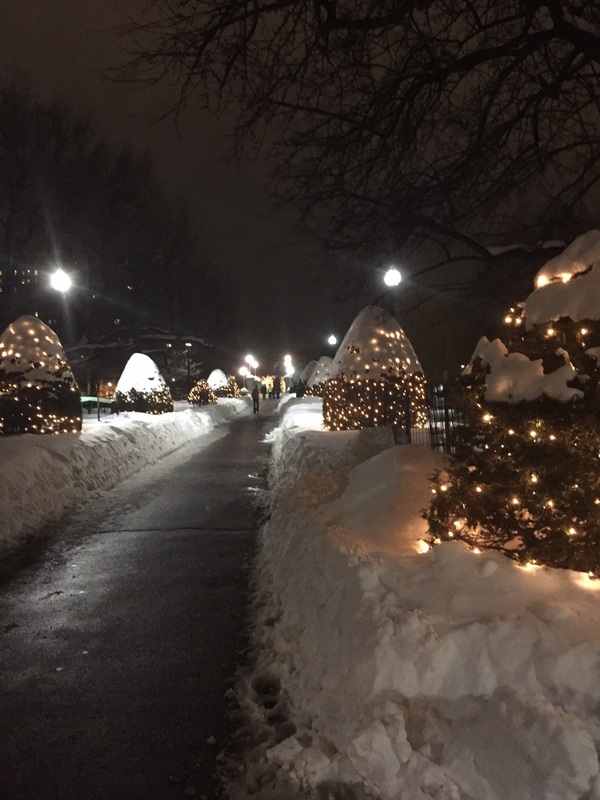 Everyone in Boston was in a horrible mood! And then it was time for the trickiest part…getting my design know-it-all and tact-challenged husband to take some pictures. He’s worse than George Clooney. 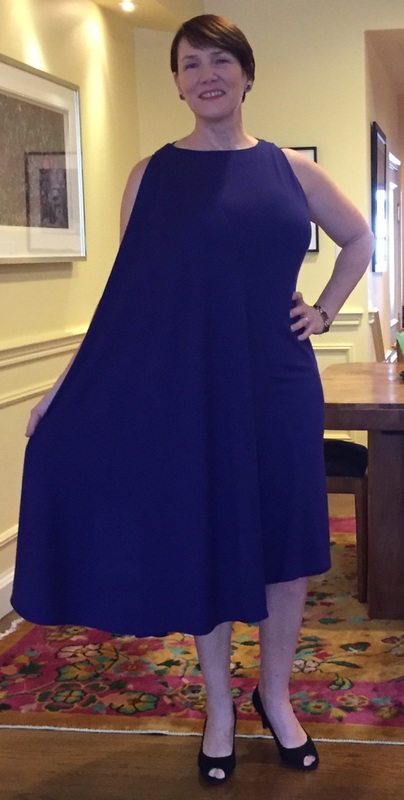 Picture #2, well, can you tell by the look on my face that my husband had pointed out that a half sheath/half tent-dress is not flattering from all angles on a middle-aged body? I briefly considered trying to ratchet in the drape a little bit at the waist, but then I thought, hell to the no. It’s about the design. 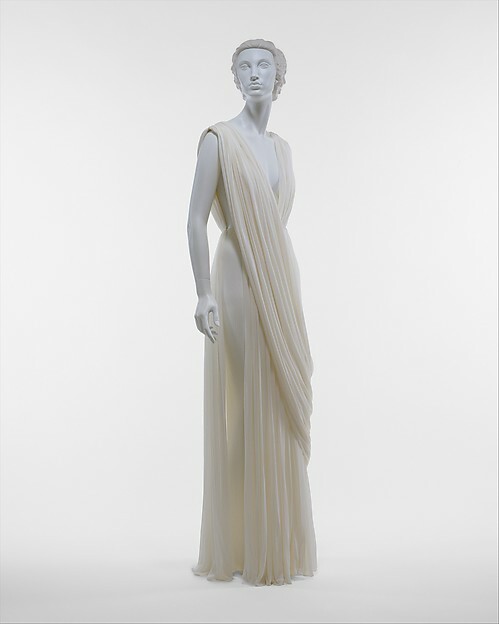 I set out to make a Madame Gres dress, and I’m not going to mess with it. Though I don’t thoroughly love the dress, I do like it. 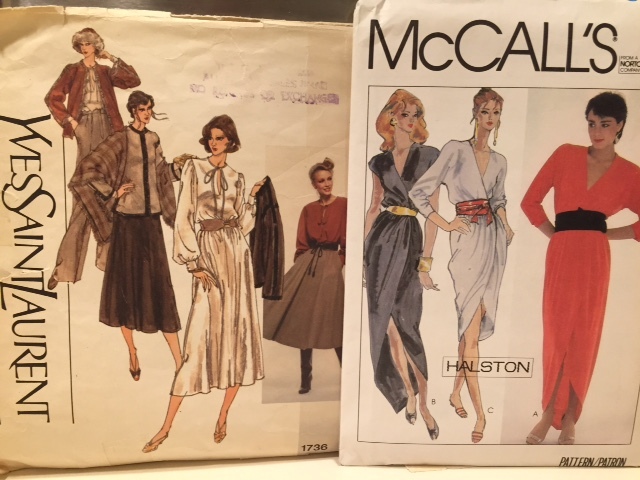 And going through the process of re-creating the design has helped me have a deeper understanding of Madame Gres’ genius, which is why I’m sewing up these things. 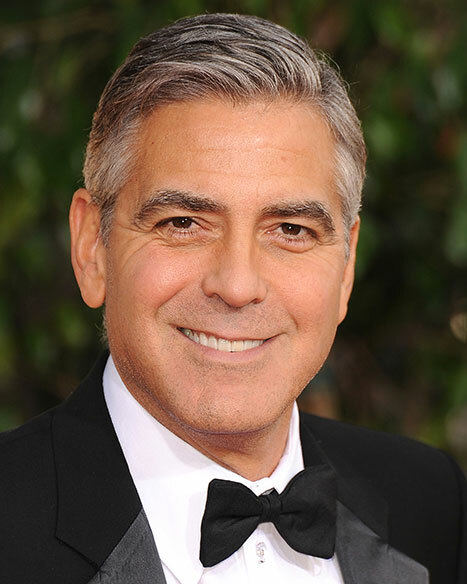 So Madame Gres and I will see you on the red carpet, George. And now I’m enjoying the day when my husband’s in the doghouse and he knows it. He just made me an espresso.